I tried to set up a dual boot on my laptop with the already installed Windows XP. The second system should be Windows 7 x64 (RC1 – 7100). I copied Windows XP with the installed programs with a tool to the partition and installed Windows 7 on the first partition. Windows 7 was working fine and I was able to configure the boot manager with bcdedit.exe to get a boot menu entry for XP. The boot entry was working but I get a message about missing ntldr. the application is missing or corrupt. I had the idea to copy ntldr, ntdetect.com and boot.ini to drive C: but without a visible success – the screen stayed black after selecting the XP entry from the Windows 7 boot manager. Also booting from an USB stick ended with the same empty black screen. After hours of checking configurations and searching the net I had an idea directing me to the right direction: I added a second entry to boot.ini. If there is only one entry in boot.ini this is automatically started and you can’t see if the problem happens before or after the boot menu. And I was back at the problem with the black screen directly after the boot manager. Also selecting safe mode did not provide any information. Having a look at the boot process of Windows NT I thought that perhaps pagefile.sys causes the problem. I had been selecting drive D: in Windows 7 for the pagefile as I had done this many times in other dual boot setups before. 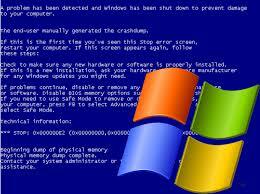 I reconfigured the virtual memory in Windows 7 and after that my Windows XP was booting! It seems Windows 7 x64 and Windows XP are not able to use the same pagefile. The problem could be that the pagefile was 8GB and my XP as a 32-bit OS was confused, because it can only use 4GB of memory. Problem, Solved, Windows, Windows 7. permalink.